Medieval Warfare focuses on soldiers, battles and tactics from AD 500-1500. 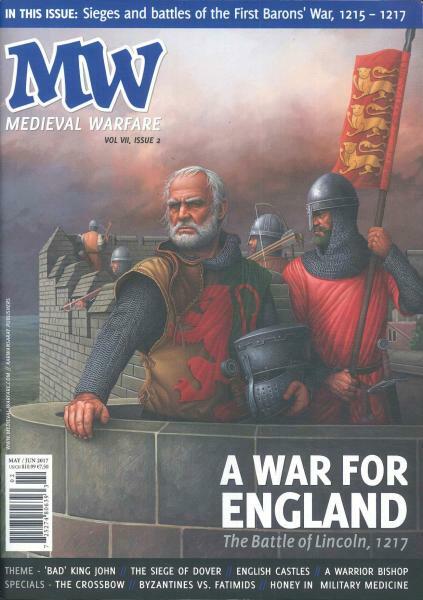 Buy a single copy or subscription to Medieval Warfare magazine. The follow-on to the popular Ancient Warfare, each issue is centered around a historic theme: from camp life during the Hundred Years War to the campaigns of Charlemagne. Thoughtful, informative, and original, the writing is always accessible while still providing readers with the latest ideas and scholarship on each topic. Every copy of the magazine is illustrated with original, beautiful artwork by a variety of talented artists. Photos are selected from museum collections around the world and include numerous unusual and rarely seen artworks and artifacts. Articles in Medieval Warfare are written by professionals and passionate amateurs alike. Thoughtful, informative, and original, writing in Medieval Warfare is always accessible while still providing readers with the latest ideas and scholarship on each topic. Articles in Medieval Warfare are written by professionals and passionate amateurs alike. Thoughtful, informative, and original, writing in Medieval Warfare is always accessible while still providing readers with the latest ideas and scholarship on each topic.